If you are here for my ‘Tangle Starts Strings’ book giveaway, you can find it here. 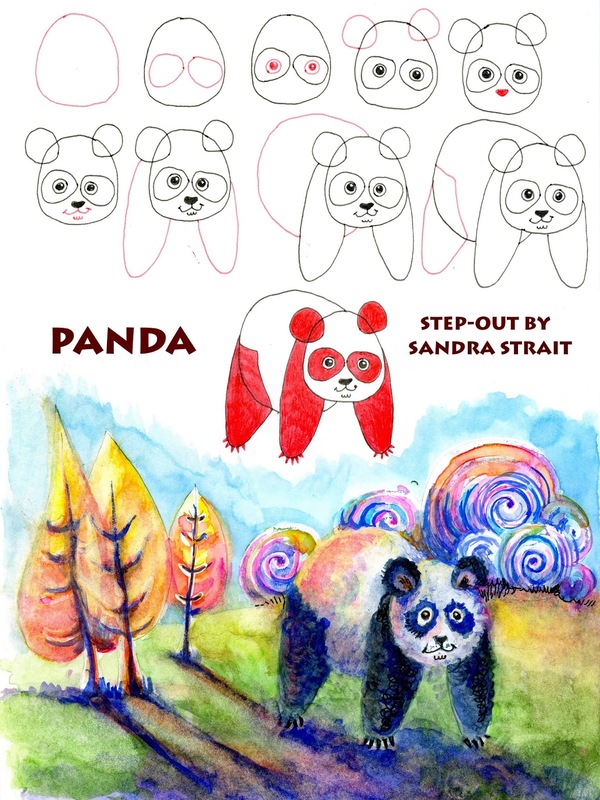 Draw a landscape using the Panda Plant step-out. Extra calorie-free brownie points for using the Leaf Tree or Lollipop step-out as well. My step-out was drawn using Zebra Pen Sarasa Fineliners and the example was painted with Schmincke Watercolors on Hahnemühle Harmony Hot-pressed Watercolour Paper. Since hot pressed paper is smooth, you can easily use both pen and watercolor on it. I used a sample dot card that my friend Jennifer McLean sent me, using colors from the new edition Schmincke pan set. She has a review and giveaway for the set here.